The Golden Designed Trim Accents All 10 Pieces Of This Passover Seder Set. The Golden Calligraphy Of The Seder Plate Foods Are Printed On Both The 12" Round Seder plate And The Six Matching Dishes To Sit On The Plate. The Matching 10" Matzah Tray Has Matzah Written In Hebrew In The Center Of the Plate. 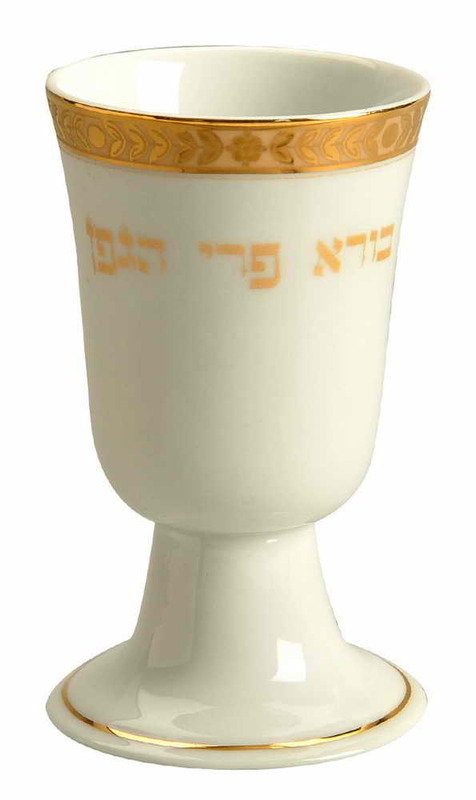 A Matching Kiddush Cup Completes This Handsome Passover Seder Set. *Please Note: This Item Does Not Qualify For Any Free Shipping Promotion.